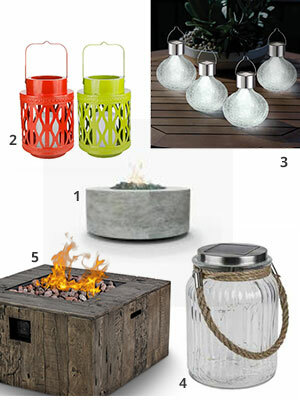 With Spring & Summer finally upon us, we all want to get the most out of our outdoor living space. Everyone wants to know what is hot when it comes to lighting. I enjoy layered outdoor lighting, and lots of it. 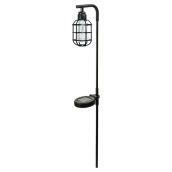 Lighting is ideally placed at high, mid & floor level points in your yard, deck or balcony. Sometimes I illuminate these levels at the same time, and on other occasions, I select strategic areas I want to glow and twinkle as the sun starts to set. 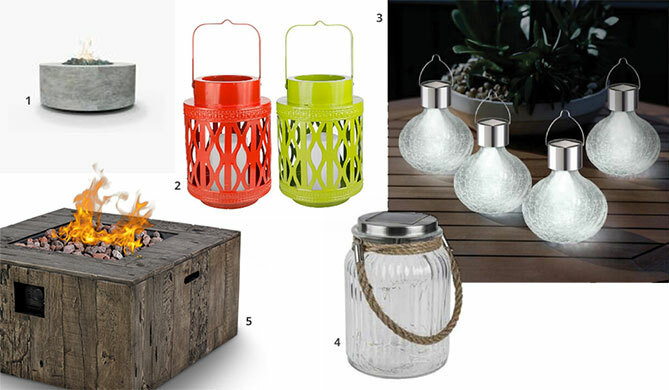 Not only will this extend your time outdoors by adding light to your space, but it also adds ambiance, sophistication and style. Here are a few of my favourite trends. Pre-strung lights are easy to use and have a big impact. I am fond of the black vintage lights with the old world filament bulbs. They have such a quirky warm light and are right on trend. Many of these lights are solar powered or battery operated so no need to plug them in. 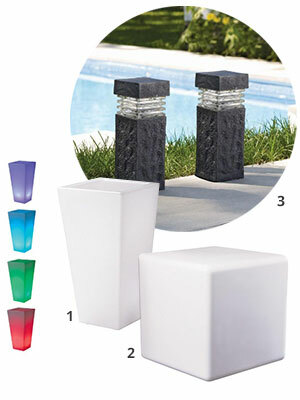 These are perfect for your HIGH level lights to illuminate the upper portion of your space. 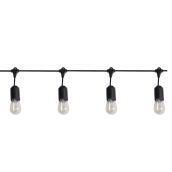 RONA has those black vintage lights that everyone loves! String them alone or put several strings together to create a long casual line of light. 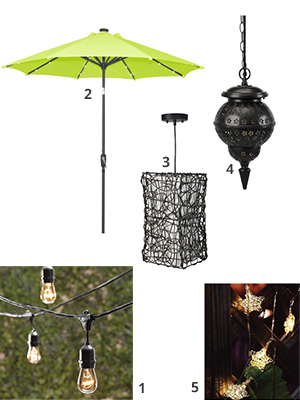 String lights are easy to weave along the fence, over an entry way or on a balcony railing. I particularly love the umbrellas that already have the light inside. Just put up your market umbrella and presto! You have a pop of colour and light! 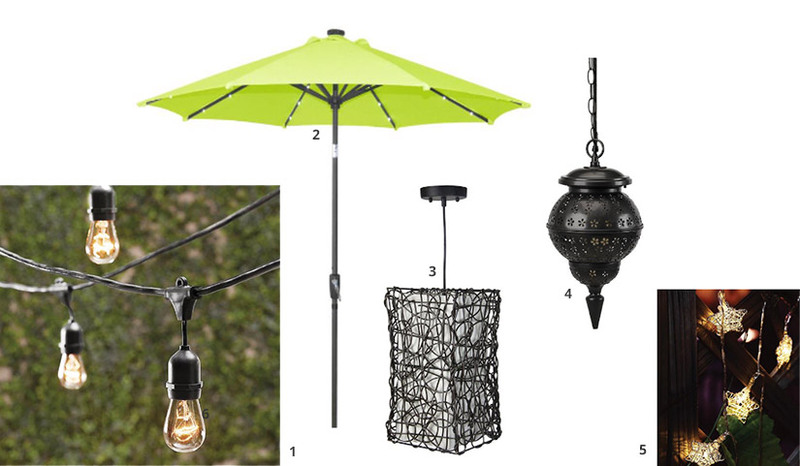 Another of my favourites for high-level lighting are outdoor pendant lights. 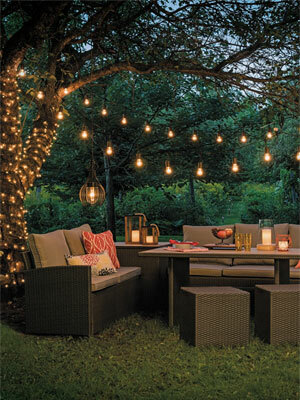 Pendant lights work wonderfully over a sectional, or at the corners of your yard. We are seeing lots of intricate metal work and old world flavour out there right now. I love the sense of history, travel and workmanship these lights evoke. The idea of bringing inside design outside is really appealing to those who want a little more detail in their outdoor rooms. Mid-level lighting is your tabletop lighting. After a great fresh local meal cooked outdoors, I enjoy gazing into the tabletop light of colourful lanterns or tiered candles. 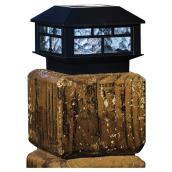 Many of the coffee table and tabletop lights have a faux flame and are battery-operated. These candles stay lit in the warm evening breeze! My indoor décor is quite sophisticated, so when I am outdoors I like to add hints of whimsy, or nautical or tropical details to my space. Propane fuelled table top fireplaces are all the rage with outdoor entertainers this season. 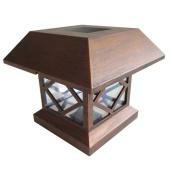 You get a warm fiery glow instantly, without the smoke produced from wood-burning fire pits. Urban neighbourhoods everywhere are embracing this trend. And let’s face it, who doesn’t look fantastic in the flicker of an outdoor flame? There are loads of great floor level lights. I either like the rustic look of stone lights to keep your space rustic casual or I go for the LED resin floor lights that scream Miami chic. I always group 3 together and place them in strategic areas of the yard. The floor level glow is very soft and refined. 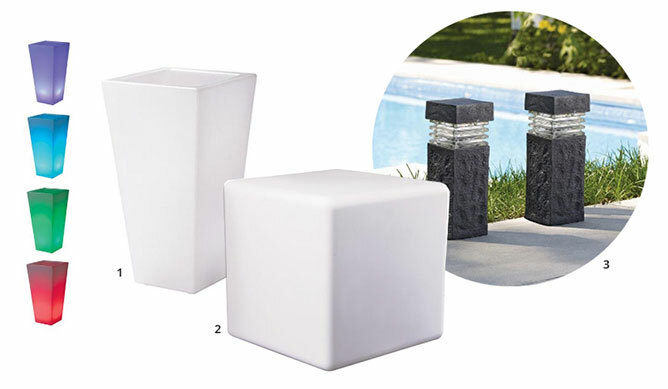 The cube and the tall vase shape are my favourite. I like to stack the cubes to create area dividers. 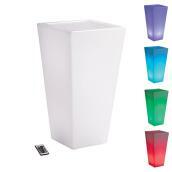 The tall vase style is perfect for an uber-cool ice bucket. Chilled champagne never looked so good! So what are we waiting for? Let’s get outside! Receive our next articles directly in your inbox by subscribing to our newsletter. Complete the project of your dreams with the help of our guides. 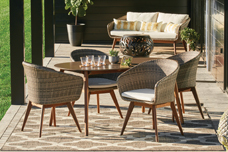 Get the help you need in selecting the perfect outdoor furniture. Use this construction plan to build the deck of your dreams. See our complete guide to succeed at any summer project. Use this checklist to do your summer home maintenance. 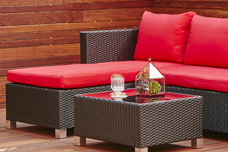 Find the outdoor furniture and accessories that best suit your needs. Discover our entire selection of gardening tools and equipment. 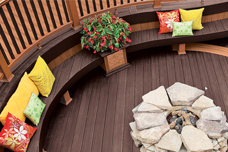 Get inspired by looking at our deck and garden projects, plans and guides. 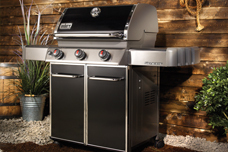 Check out our great selection of barbecue.